Sangeeta Bhatia has been talking about the woeful lack of diversity in the life sciences and other high-tech industries since the late 1980s, when she was an undergraduate studying biomedical engineering at Brown University. She thinks the situation is improving, but not nearly fast enough. 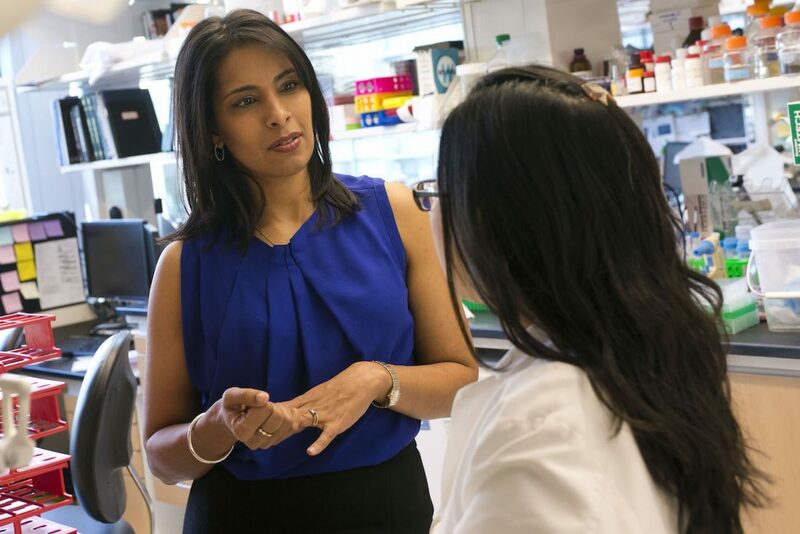 Bhatia—an MIT professor, medical doctor, biomedical engineer, and biotech entrepreneur—is an advocate for women in science and engineering, and her long list of achievements have given her a platform to make her voice heard. Among them: she has co-founded three companies; developed innovative technologies such as functioning miniature human livers created using computer chip manufacturing techniques; and won awards such as the Lemelson-MIT Prize. After some early publicity, she recalls saying to prolific biotech entrepreneur and MIT professor Bob Langer, “I just want to crawl under a rock. How do you do this?” He replied that it’s important for the public to read about science and engineering, and to understand what university researchers do, she says. As the national conversation around diversity in high-tech industries has grown louder in the past couple of years, one thing Bhatia thinks hasn’t been discussed enough is why people should care. The underrepresentation of women in high-tech industries—particularly in C-suites, board rooms, and venture capital offices—is not “just a pipeline issue, especially in the biological sciences, where there has been a robust talent pipeline for decades,” Bhatia says. Unconscious biases and outright discrimination on the part of those doing the hiring or making investments play a role, Bhatia says. Another key contributor to the lack of gender parity—and a cause she says is not well understood—is when promising young women “opt out” of the industry or choose not to start companies. There are a variety of factors that play into their decision. But Bhatia thinks she and her peers could help move the needle on gender diversity by more actively encouraging young women—particularly those at the PhD level—to become entrepreneurs. It sounds simple, but Bhatia thinks those conversations can make a huge difference—and they’re not happening often enough.